This style lends a forum a simple gray color. After you downloaded the theme package, you have to extract it with your extraction programm. Click on "Templates & Style". Then click on "Import Theme". 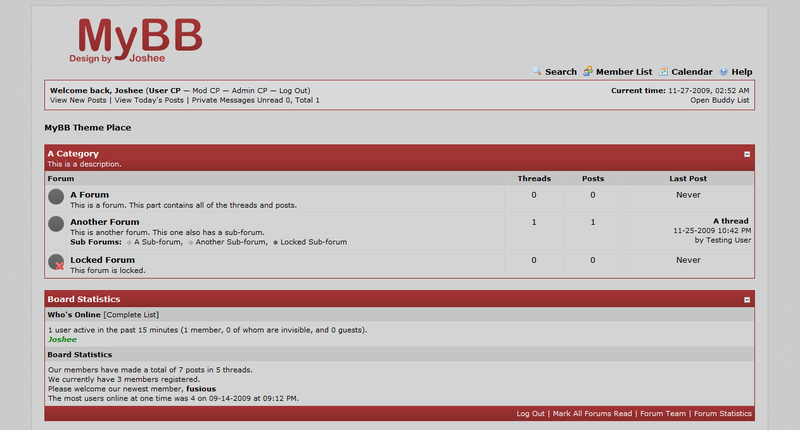 A dark grey and dull red theme. This theme is ONLY CSS edits. Some pretty simple userbars I made.